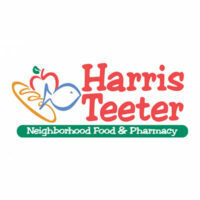 Harris Teeter is a supermarket chain that has its base of operations in Matthews, North Carolina. They retail baked goods, meat and seafood, produce, groceries, and pharmaceuticals. They retail these products through their stores or online home delivery service. It was founded in 1936 by William Thomas Harris and Willis Teeter. At first, they operated separately as Harris Drugs and Teeters Food Mart. They eventually merged to form what is now known as Harris Teeter Neighborhood Food & Pharmacy. They currently have more than 240 stores in the United States. These stores, their corporate office, and warehouses employ more than 30,000 individuals. They are a wholly-owned subsidiary of the American retail company Kroger. They provide medical, dental, vision, and life insurance for their full-time associates. Employees get company-matched contributions for their 401k plans and a bi-annual profit sharing benefit. Employees get educational leave-of-absence and paid days for vacation, jury duty, and bereavement. Working experience can be great depending on the store. They get flexible hours and great management with multiple opportunities for advancement. However, staff can be run ragged as management will take their time to hire needed full-time or part-time help. How old do you have to be to work at Harris Teeter? They do not hire anyone younger than 16 years of age. For those 16 to 17 years of age, positions are limited due to safety regulations imposed on certain jobs. Employment opportunities are available in their retail stores, corporate office, distribution centers, and Hunter Farms brand. Positions can be available in either full time or part time. Jobs that entail the operation of machinery might require the applicant to have the appropriate certifications. Bagger: The Bagger is responsible for providing customer service and good experience through correct bagging procedures, parcel pick-up service, and carry-out provision. They return shopping carts into its appropriate place in the store. They must be able to lift up to 40 pounds and reach 6 to 72 inches of height. Grocery Stock Clerk: They are responsible for providing customer service through product knowledge, sales abilities, customer relations, and food preparation. They process, pack, and stock products according to regulation standards. They clean work areas, unload stock, and reload any salvage materials. They must be able to lift weights up to 60 pounds and reach heights of 6 to 72 inches. Personal Shopper: They are responsible for most phases of the store’s Personal Shopper program. They download online customer orders, select product orders, and perform cashier and bagger duties for said order. They initiate and accommodate customer contact in person, through phone calls, and through the internet. Cashier: The cashier is stationed at the store’s point for product check-out. They operate the cash register which would require training if an individual has no knowledge of its operations. If necessary, they also perform other services like bagging procedures, carry-out provision, parcel pick-up, vehicle loading, and shopping cart return. Reasonable accommodations are available for persons with disabilities. Retail Store Manager: They assist the Store Manager in the day-to-day management of the store. They interview, train, and supervise associates in retail operations. They appraise performance, and reward and discipline the corresponding activities by their associates. They address complaints and resolve problems presented by customers and associates. They also perform the duties expected of store associates when appropriate. Store Management Trainee: They assist the overall management of the store and ensure that activities are in accordance with policies and standards. They interview, supervise, and train associates. They help the managers in performance appraisals and rewarding and discipline of associates. They are expected to perform the duties of store associates when appropriate. Loader: They load materials into shipment containers and prepare them for transport. They follow load sheet instructions to determine how materials will be moved. They ensure the shipment is in accordance with safety and loss prevention standards. Positions are available depending on the shifts and work required. Freezer Order Selector: They are responsible for the safe, accurate, and efficient performance of product selection, stacking, and wrapping. They are expected to get finished pallets in their proper loading areas while maintaining a record of daily production and outed products. The position entails regular exposure to temperatures ranging from -10 to -20 degrees. Stocker: The Stocker cuts and stocks products for the slow grocery and mezzanine sections of the general warehouse. They use the inventory system for stocking and replenishment of orders. They retrieve and move cases to the appropriate rack locations and flow racks. CDL Driver: They drive full-sized trailer truck vans and refrigerated trailers to transport store shipment to distributions centers, stores, and vendors. They are responsible for load verification and inspection before departing for shipment. They are expected to follow commercial driving regulations and the company’s safety standards. Application is done through the careers portal in their website. Applicants browse through the positions available and select the positions they want to apply for. Registration with their Google or Yahoo account is required. There are no in-store applications available as the headquarters is the one in-charge of initial screening. The store or work location would only be involved during the interview. In filling up the application form, it is advisable to follow the instructions indicated in the job application assistance document. When you pass the initial selection, they would contact you for phone screening. For the resume, you only have to follow the questionnaires in their online application. Make sure that you click “save and continue” to submit the information. For the interview, they would be looking for people who take care in maintaining good hygiene and outward appearance. A pleasant and courteous personality is also something that interviewers would look for in an applicant. Harris Teeter implements a culture wherein everyone can be comfortable while working and contributing to the business’ success. Due to their diverse customer base, they seek to build an organization of diversity and inclusion. In 2012, they have ventured into the upscale grocery business with their grocery store brand 201central. In 2015, they closed down their stores in Nashville, Tennessee due to the area being crowded by a variety of grocery store brands. Harris Teeter is popular for its grocery operations in the American South. They have been known to regularly hire employees in their area of operations. They support a variety of communities like the Muscular Dystrophy Association, United Service Organizations, and United Way. They also have their own community service program known as Harvest Feast that helps food banks in America. 1 How old do you have to be to work at Harris Teeter?